Why advertise with Pond Boss? We've got your market... Pond Boss customers are looking for your products and services. 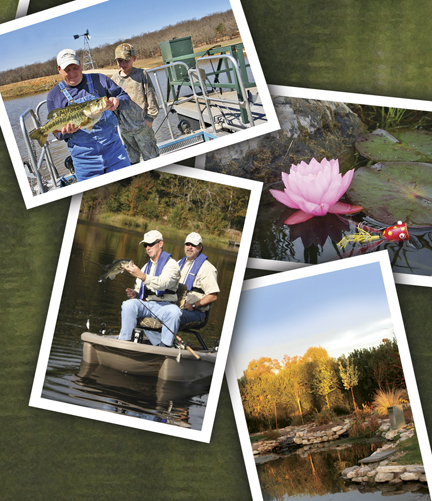 Our members have a passion for their lakes and ponds, want to be better stewards of their land and waters, and look to Pond Boss as their go-to source for the latest information, technologies, products and services to help them reach their pond management goals. According to our most recent survey, almost 50% of our readers requested information from our advertisers... and an impressive 38% went on to purchase products and services. Staying Power... Published 6 times a year, Pond Boss magazine offers you two full months of exposure with every issue. Plus, our readers view our advertisers as trusted sources for their pond management needs. Most keep every issue and refer to them again and again. According to our last reader survey, 50% of our readers share their issues with 2-3 other people. That's added exposure for your business! From standard display advertising to listings in our respected Resource Guide, Pond Boss puts you in front of qualified readers who are interested in your products and services. Click on the links below to view and dowload our media kit. PondBoss.com and our Ask The Boss discussion forum attract thousands of folks seeking answers to their pond managment questions. Tap in to this market with affordable and powerfully effective advertising on pondboss.com. We'll custom design an advertising program to meet YOUR needs and goals! "Over the last few years, Solitude Lake Management (formerly Virgina Lake Management) has been privileged to be a part of the Pond Boss family of advertisers. We have taken advantage of both print and online opportunities and have seen a boost in our lead generation as a result. We have always been extremely pleased with the professionalism of the staff at Pond Boss and have enjoyed the benefit of placing our ads and company information in such a highly regarded publication. We look forward to continued growth through our relationship with Pond Boss." “We have been advertising with Pond Boss Magazine for many years now and have been pleased with the results! 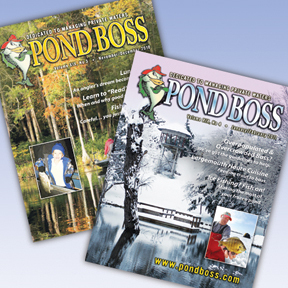 We ask every new customer where they heard about us and often the response is “Pond Boss Magazine”. When we first started with Pond Boss, they were primarily a southern magazine, but from the calls we get, its obvious that the readership has spread throughout the country. This is appealing to us since we distribute products nationwide. We look forward to our continued relationship!"